Originally our programs were produced by Rex Robertson and IKE Media working out of their mobile media trailer. Now K23 TV is housed in the Keizer Civic Center. Mr. Robertson, who continues to produce our programming along with Phillip O'Donnell, worked with city staff to design and equip the new facility when it was built. The entire Civic Center is connected to K23 TV and the Council Chambers doubles as our studio. Currently we record and broadcast Council, Budget, Urban Renewal Agency, Planning Commission and Parks Advisory Board meetings. We also do regularly scheduled public safety shows and city-sponsored events. The Keizer Points of Interest Committee Oral History project has produced several wonderful programs that help us preserve our rich heritage. K23 TV has become a very important part of connecting with our community. Citizens watch the channel so they know what is going on at council and budget meetings. Up until now, there has only been education and government programming on the channel. We have wanted to add public content but needed to be able to do so responsibly. The Advisory Committee used the CCTV handbook as a model for handling public programming. The Keizer TV Handbook they compiled mirrors the CCTV requirements for program providers to follow. Local civic and charitable groups have long wanted to put on programs. Creative videographers have great programs to share with our community. 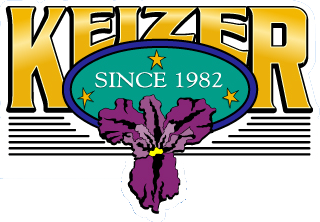 Starting with a limited pilot program, Keizer residents are invited to submit programs for broadcasting. Program providers will need to comply with rules for residency, identifying what is in their program, and copyright laws. In our media-saturated society, local access television still has a very important role to play in keeping us connected, sharing our ideas and creativity, and preserving our local identity. 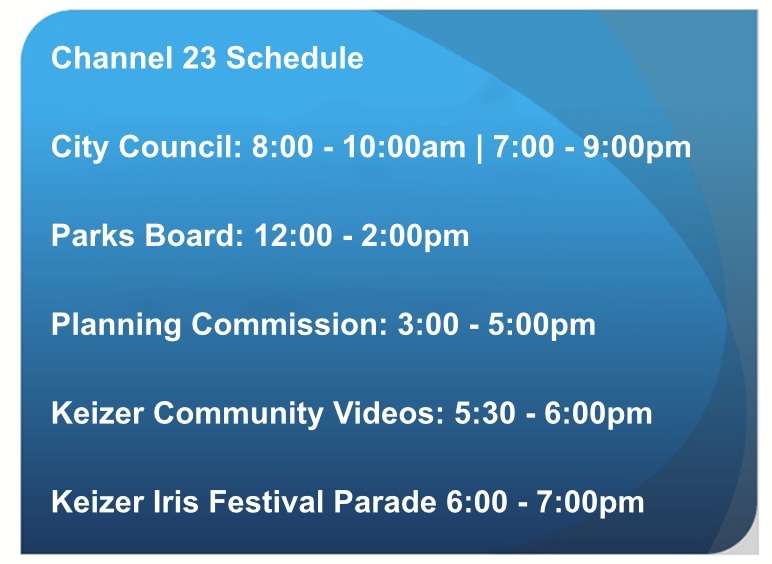 You are invited to keep watching K23 TV and keizertv.com for added programming and public service announcements.